At some point in time we decide to give something back to the society. Most of us would do it by giving some money to a NGO or a charity. However, over the time NGOs and charities have become more of a business than a social cause. This article is an attempt to shed some light on donations that we give to various NGOs. In this article you are going to read how donors can ascertain whether a NGO is a fraud or not? We also tell you different types of donors and few questions that you must ask a NGO before you give any money. Finally we conclude the article by mentioning some benefits of donating money to a NGO. What are NGO’s and What They Do? If you are a first time donor then you must read this paragraph. NGO stands for Non Governmental Organization, a NGO reaches out to the poor people living in a country. A NGO is neither part of a government nor part of private sector. When government and private sector are unable to reach people and cannot fulfil their needs then NGO tries to fill the vacuum by helping them in various ways. NGOs can be international, national or even local running in your country. On paper NGOs do not work for any profits and have no intention of furthering political, religious or some other kinds of ideologies. There are different types of NGOs. Some deal with poverty alleviation, some are working in war and conflict zones, while others work for the causes like saving environment. So NGOs do only humanitarian work. However for proper functioning NGOs need donors who can fund them so that they keep on operating. NGOs must have to raise funding and resources so that they can further their cause. Donors can be a government, a company or individuals like you and me. Recent developments in India regarding NGOs & my own experience (in next paragraph) have forced me to write an article about NGOs and their functioning. There were over 33,000 NGOs functioning in India. However last week the Government of India cancelled licenses of over 20,000 NGO’s. Under the Foreign Contribution Regulation Act (FCRA) government cancelled their licenses in just one stroke. So you can imagine in just a week government cancelled more than 50% NGOs operating in India. So only 13,000 NGO’s are legally valid now! Few years back government was criticized for cancelling license of a well know environmental NGO called Greenpeace. Why government is taking such drastic measures? There are many reasons like some NGO’s have political and religious agendas. However the main reason is most of these NGOs are frauds as they are operating to make profits. Just few weeks back, I got a call from NGO asking me to donate some money for the cancer treatment of a 5 year baby at Tata Memorial Hospital. Upon request, they sent me documents which proved that case is genuine & her father was unable to pay the money. I paid them Rs 5000. But few days later after reading this story in Mumbai Mirror, I came to know that many of NGOs working in Mumbai for cancer patient are scams. I did my research about that NGO and found number of complaints from donors & even their staff members. So I thought of writing on this fraud so that your money should not go to a fraud NGO or charity. I will show you later in this article how so many NGOs operating in India and around the world are frauds. NGOs fleece money from ordinary folks like you and me in the name of poor kids or cancer treatment or disabled veterans. 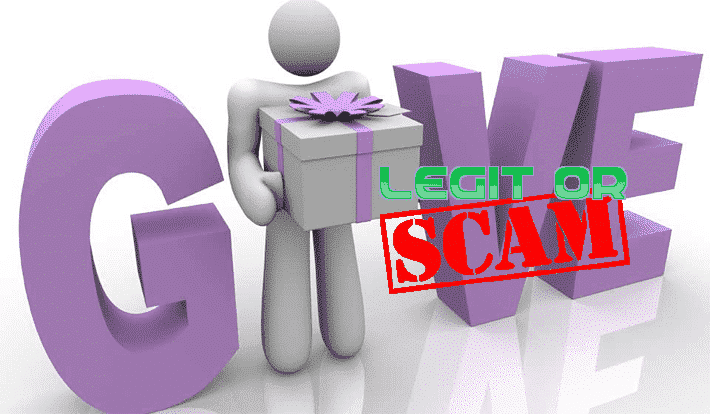 Many donors fell prey to their scam. It is true that today 9 out of 10 NGOs are just profit making enterprise. However you need to draw a line between a genuine NGO and a fraud. Not all NGOs are fraud. There are NGOs which are doing great job because government and private sector can’t reach out to poor people. There are some 13,000 NGOs operating in India right now and many of them are doing a great job. So if you are really serious about donating money to a NGO then you can find a genuine one. However you have to go through a procedure before you donate any money. Before you read the following article I would like to give you some background why it is really necessary to ascertain whether a NGO is real or a fraud. Here are following NGOs which are known frauds but they are still operating. The way these NGOs presents themselves for a moment you may get an impression that they are for real. Their websites use all kinds of testimonials, images, and videos just to look legit to new donors. But in reality, they are just fraud & started their NGO to make money only. You can check their name or website name in Google and you will find dozens of complaints for these NGOs. So do not fell prey to such NGOs. How to Find Out Whether an NGO is a Fraud or Not? But if you are serious about donating money to a NGO then you must follow due procedure to ascertain whether the NGO is genuine or fraud. Step 1: First thing you can do is visit the website Ngodarpan. The site is run by government and has a complete directory of all the NGOs operating in India. Find if the NGO you are willing to donate is present in their directory. Step 2: In the second step I am not going to say visit their website and find out more. It is because we have seen in the previous paragraph how NGOs are able to present themselves in a way that appears to be very legit even though they are nothing but fraud. So you have to talk to them directly and ask few questions about their organization (read following paragraph). Step 3: Always cross check with someone else who had donated money to the NGO you are about to donate. Talk to them on phone and ask about more details. Always donate money through check and never pay by cash. For a new donor it is very difficult to ascertain whether a NGO is genuine or fraud. You have to go through a procedure before you donate money to a NGO. Here is detailed list of questions that you must ask a NGO on phone or in person before donating money. 1. Where and how money is going to be utilized? Ask them about the nature of their work and how the money is spent. 2. Ask them whether they receive funding or grants from government or corporate sector? 3. Ask them about their past and present donors. Who all are donating them? Know the donor base. 4. What group of people are they going to help? Is it inclusive or they are going to exclude certain section of societies. 5. Question more about accountability Mechanisms? It means how the NGO is going to ensure that your money is being utilized in the right place. 6. The most important question that you need to ask is whether you will be allowed to visit the project site where your money is being utilized. 7. The other regular question that you may ask is about the people running the NGO, all the trustees and board members. You also have to ask whether they draw any salary from donations. 8. Ask for PAN/TAN and the donation certificate authorized by the government. See all the necessary documents. 9. Ask for the receipt once you have donated the money. 10. Finally visit their office and donate money through check only and not by cash. And yes don’t forget to Google the company or website to check any online complaints. There are six categories of donors. 1. The Procrastinator: Who wants to donate but is not able to locate a genuine charity. 2. The Charity Nerd: They love data and all the research work about different charities. 3. Peer Pressured Donor: They donate only when someone pressures them. 4. The Rationaliser: Usually people who gives excuses why one should not donate to a NGO. 5. Time Effective Donor: Most of donors who are being cheated falls in this category because they donate in hurry without doing proper research. 6. First Time Donor: Those who are first timer and new to donations. You don’t have to worry about first five because you are the sixth one “First Time donor”. What to Do if you Come to Know that a NGO is a Fraud? What happens if you find the money that you donated to a NGO happens to be a fraud. Or the NGO is still not deploying the money where it should be. Well there are few alternatives. Alternative 1: Go to a police station and file a complaint. Alternative 3: Hire a lawyer and send a notice to the NGO. Alternative 4: Become active on internet and other mainstream media so that you can spread a word about the fraudulent NGO. Join hands with other victims like you and create a forum. Do not let the NGO go unpunished. Expose them! As a donor after reading this article you might get depressed and would not like to donate your money to a NGO. However if you do find a genuine NGO then there is nothing wrong donating your money. There are two great benefits of donating money to a NGO or any other charity. Benefit 1: You feel relieved that you have given something back to the society. Your money is helping poor children to get education or treat cancer or fight hunger and poverty etc. You get a satisfaction that your money is being utilized for something good. Benefit 2: You also get tax benefits under Section 80G and 80GGA. So read this article and make your mind whether you want to donate to a NGO or not. Journalist, writer, blogger & everything you wouldn't dare imagine !!! Peace, mercy and blessings of God be upon you. I am a poor and disabled person. I am not an association or a fraud member. I send a letter to the good people to provide financial assistance. I need $ 1000 for anyone who can help and pay it to God. Thank you for your understanding. YES SIR DONATE PPOR CHILDREN CHARITEES . It is a good article and eye opener for many. I do get many calls for donations, but I don’t trust them. If I have to make donations, I will look out for a known poor child and pay for her / his education and health.